The HSE recognise SlipAlert as an accurate portable slip assessment tool. It has a very high correlation with the Pendulum, the de facto industry standard. The HSE now use SlipAlert in all 8 of their regions to test floors for slipperiness. 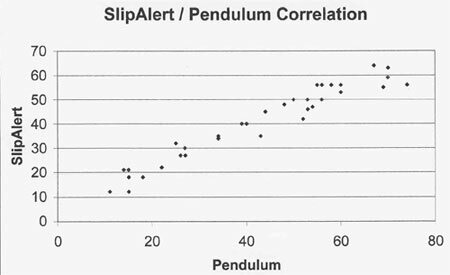 SlipAlert results correlate very well with the Pendulum in wet and dry conditions and it is easy to use. You may risk a personal liability claim if somebody slips and your floors are unsafe. Proves safety of our products. Increases our sales. Call Jenny our Commercial Director, now to find out how SlipAlert can help you.